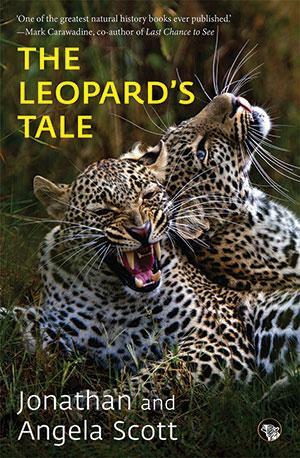 What prompted you to set out on the arduous trail of leopards? Why did you choose to document the lives of Chui and Half-Tail? Leopards are the most elusive and charismatic of all big cats. They are not just stunningly beautiful, but also present the challenge to study and reveal the secrets of their way of life. In the late 1970s and early 1980s, when we were following Chui, it was difficult to spot a leopard in Africa, let alone photograph one. At that time the estimate was that up to 50,000 leopards were being killed each year in the continent for their skin. Chui disappeared in January 1984 after giving birth to Light and Dark. She was five years old then. Though she reappeared briefly in October 1985 with three cubs, we have not seen them again. 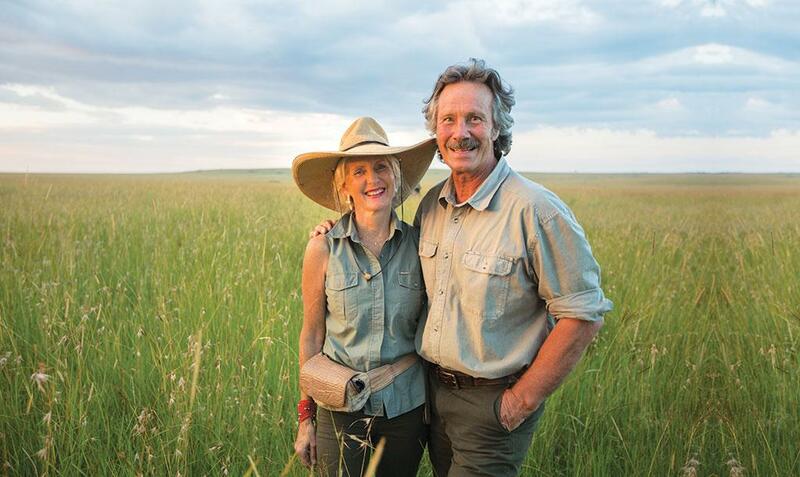 A few years later, Angie and I spotted two-year-old Half-Tail in Chui's old range—Leopard Gorge and Fig Tree Ridge—and started following her. We tracked her as she grew up, attained adulthood, became a mother and raised three cubs, until she was killed in 1999 at about 11 years of age. Along with Half-Tail, we were also documenting her daughter Zawadi. But she too disappeared at the age of 16. Leopards are highly secretive. What challenges did you face while following them and their cubs at a stretch for some 30 years? To immerse oneself in the life of a leopard has been an amazing adventure. The long years of following and photographing Chui, Half-Tail and their cubs; watching them grow up and attain maturity; understanding them as individuals; working on a predator that has not been well studied in the wild; and, finally, making discoveries about leopard behaviour have been some of the most rewarding as well as challenging years of our lives. Photographing a leopard, particularly with her cubs, was the most difficult task. Trying not to get too close and risk disturbing their family life was important to us. No picture is worth the price of unduly disturbing your subject. Only by investing time can you get to know these amazing creatures as individuals. And only then you become one with their lives, get under their skin and begin to understand them. Can you describe your journey from pen-and-ink drawings to wielding the camera to capture leopards? Both Angie and I could always paint and draw. It is a great discipline and a sure way to look more closely at your subject. Photography too is a way of seeing and making your own interpretation of what you see and offering that vision to viewers. But it's no good taking photographs just for ourselves. We wanted to leverage our work to inspire and encourage others to help protect wild places and the wildlife. Nowhere on Earth can you see as many wild animals still roaming free as in the Mara-Serengeti forests of Kenya and Tanzania. Are leopards more vulnerable than the other big cats? Leopards tend to hide in daytime as they cannot compete with large predators, such as lions and hyenas, who steal their food and kill their cubs. They can hide well due to their camouflage and are less visible due to their solitary nature. Also, after hunting at night or in the daytime, leopards can take their kills to trees to keep them safe for days. Today, nobody is sure how many leopards survive in Africa, but we do know that they are the most persecuted of all big cats. Farmers don’t like them because they kill livestock and are very crafty. Human-leopard conflict is also common across several parts of India. Can you suggest some ways to resolve these conflicts? Wildlife-human conflict is a big threat as big cats and people usually compete for the same things—space, food and cover. But as a secretive, solitary cat, the leopard can easily keep its head down while living in close proximity with humans. It is also the most adaptable member in the big cat family. So, keeping a careful watch over livestock, not moving around with livestock after dark when leopards are most active and avoiding places where the animal is likely to rest are the best ways of avoiding conflicts with the animal. Educating children about the wonder will also go a long way in reducing the conflict. The number of several magnificent subspecies, such as the Amur leopard and Arabian leopard, are fast dwindling. How can we make conservation plans for the animal foolproof? People nowadays are more aware of their impact on the environment and biodiversity. So we can attain a real change by spreading the message that protecting the leopard is vital for the survival of many other species and the entire ecosystem. We need to ensure that people who live close to large predators are educated about their importance so that they don’t just see them as an enemy to life and livelihood. Besides, if local communities can share in the economic benefits of conserving wildlife through wildlife-based tourism, they will value predators and appreciate wildlife. Why are leopards in Rajaji turning man-eaters?